One of the most difficult parts of living in Mississauga is the current normalization of excessive debt. The debt to income ratio in the country is sky-high, as is the loan to income ratio. With most of us spending a lot each month paying off loans, mortgages, and credit cards, we may not be able to save that much. While this is fine for a while, if emergencies happen, we may not have the cash on hand to handle them. In these cases, short term loans can be a lifesaver. Want to know how your credit score can affect loan approval? Take a look at this infographic. So just how do you go about getting a short term loan if you have an emergency to deal with? Well, the first step is to get your credit in check. You should pull a copy of your credit report to ensure everything is accurate and there are no mistakes. If there are errors, you should report them. Check out the Top 5 most common errors found on credit reports. Also, the better your credit, the better the rate you will get, so try and improve your credit before applying for any sort of loan. This can be done by paying off any overdue debt, using your credit responsibly, and ensuring you don’t miss any payments. This can sometimes take a while depending on how bad your credit is, but it is well worth it in order to get better rates and a cheaper loan. Once your credit is in a good spot and your credit report is accurate, you should begin to shop around for the right lender. Each lender will have their own requirements, interest rates, and terms, so be sure to look around. The more places you check out, the better the chances that you will find the right deal for you. In addition to speaking with each lender, be sure to look them up online to see what their reputation is and if anyone has listed any issues or problems they have experienced with them. Once you have found the right lender and have applied for a short term loan, be sure to have a budget in place to ensure you can keep up with the payments. If you know much you have coming in and going out each month, it will make it much easier to handle the payments. 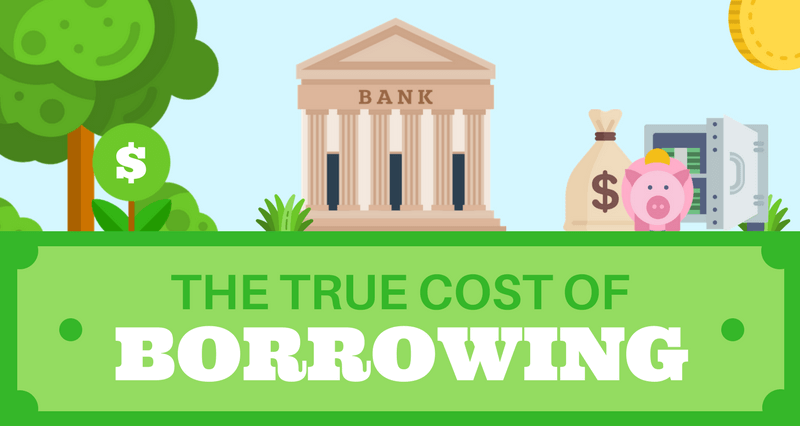 Ever wonder what the true cost of borrowing is? Click here to find out. However, while you can use a short term loan for anything, you should still use them responsibly. You still need to pay back the loan in full (plus interest) so be sure to only take out a loan you can afford. If not, the interest will continue to pile up and you will be on the hook for a lot of money. Click here to see how a short term loan can help you tackle your expenses. Short term loans definitely have their benefits and are a good option for many consumers in Mississauga. However, before you decide whether to use a short term loan or not, it is important to know both the pros and the cons. Read this to find out how you can get an online loan with affordable monthly payments. Are you in need of some cash quick in Mississauga? If so, don’t hesitate to contact Loans Canada. We will help you secure a short term loan in your area quickly and at an affordable rate. Whether you need money for house repairs or to cover an emergency, rest assured Loans Canada will be able to help.